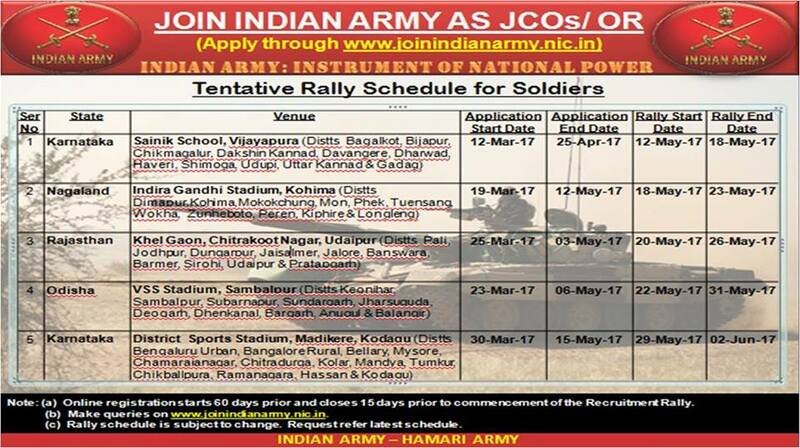 we are always committed to inform about latest army jobs. Online Registration for Indian Army Rally Recruitment for ALL states is now started. 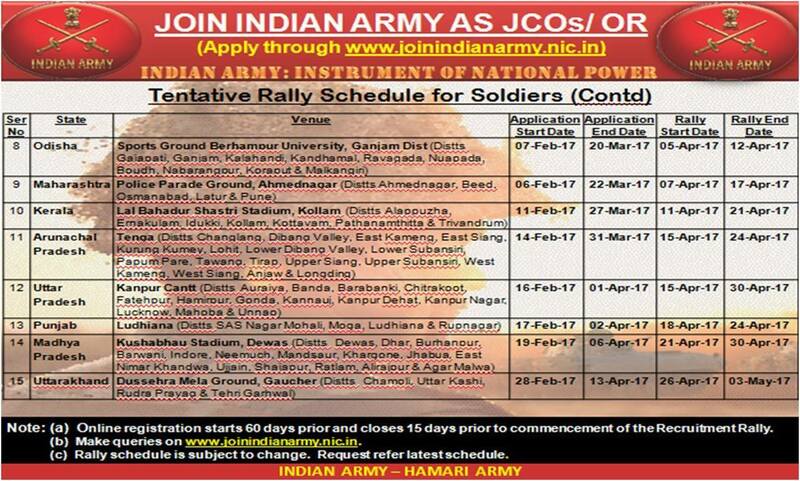 Candidates who want to Join Indian army may apply online first. 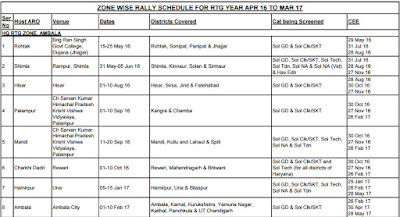 Date Aro bharti 2015-16chart sho ..
Sir if you have any idea about contact information of army battalion in rae bareli where students of college of military engineering PUNE are recruited please tell me. 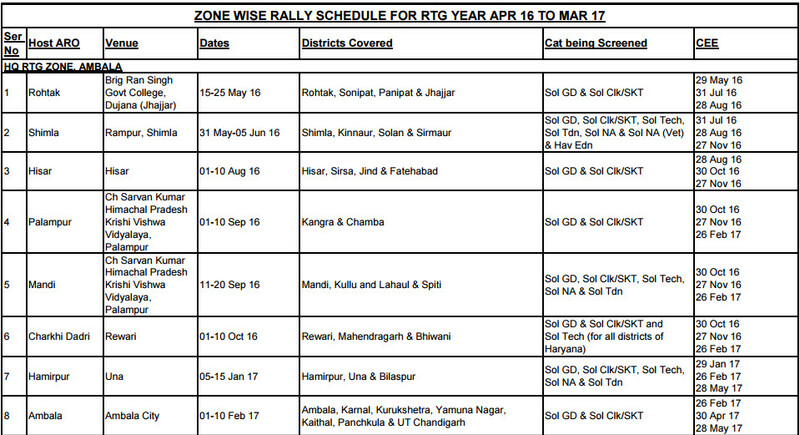 Tell me sir next bathinda district or all India open bharti kab hai ..2015-16 ..thnku sir . 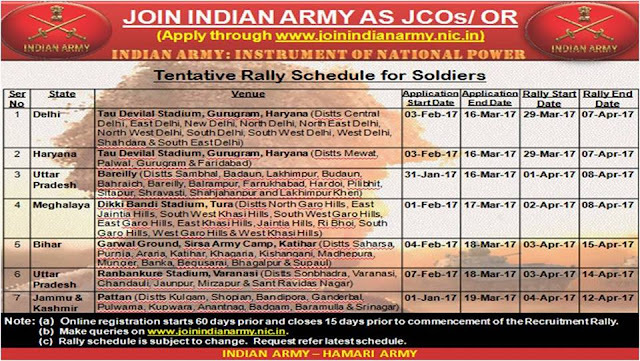 please your email id send to argent all document original scan copy send to me plz sir Indian army is may Life please sir give me one chance only for Indian army. Sir mathura distik ki bharti kab ki h show nhi kr rha h plz btaye my email id.